Opposition alliance lawmakers have filed a motion asking the parliament to free jailed former president Mohamed Nasheed ahead of his return from self-imposed exile next month. He was sentenced to 13 years in prison over the arbitrary arrest and subsequent detention of a sitting judge while he was president. UN Human Rights Committee which oversee governments’ compliance with the U.N. International Covenant on Civil and Political Rights, had said Nasheed’s conviction on terrorism charges was based on vague laws, contained serious flaws and violated his right to a fair trial. Opposition in its resolution with the signatures of 49 lawmakers including MPs from the ruling coalition had asked the parliament to implement UNWGAD and UN Human Rights Committee decisions calling for Nasheed's release. 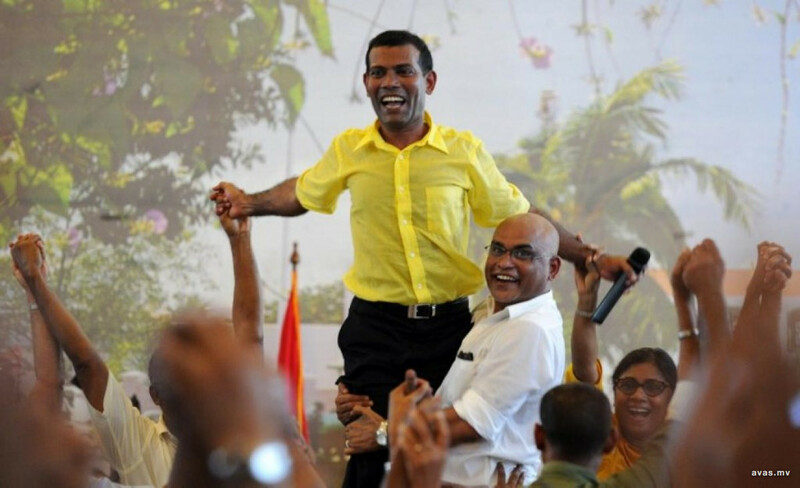 Nasheed's return was announced days after after the opposition alliance secured a surprise victory in last month's presidential elections. Nasheed however is yet to petition the top court to review its decision to uphold his terrorism conviction.